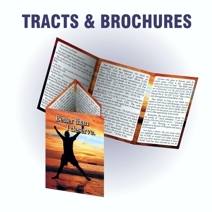 We specialize in customized printed materials for ministries. 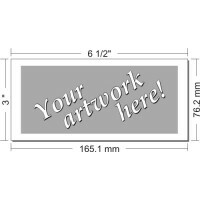 Your Art on Our Product! 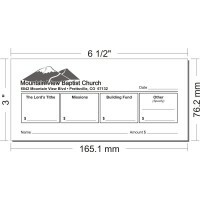 We are happy to serve you as you serve the Lord. 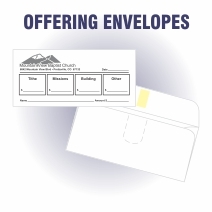 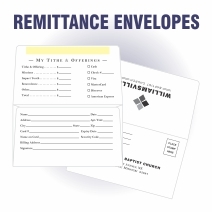 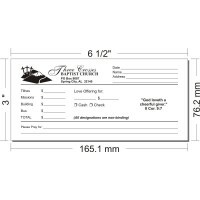 Our most popular product is custom offering envelopes including remittance envelopes. 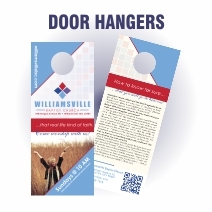 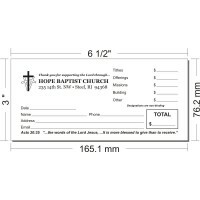 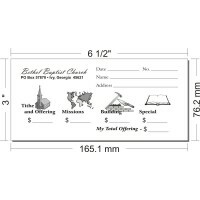 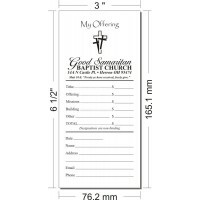 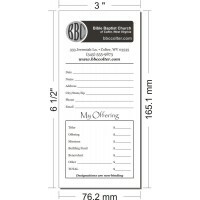 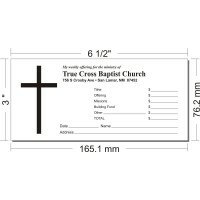 We also produce gospel tracts, door hangers, visitor cards, church bulletins and more.